After my day of visiting ruins, I decided to spend the next day… visiting ruins. 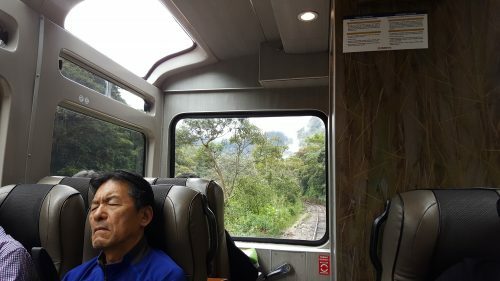 I had a train to catch to the town at the base of the mountain where Machu Picchu is located (Aguas Calientes), but the train didn’t leave from Cusco. 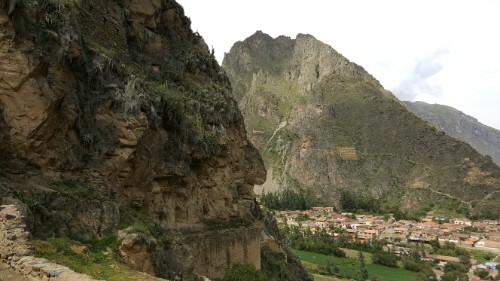 I had to find my way to Ollantaytambo, a town about two hours away, and get the train from there. At this point, I was a colectivo expert, so I wasn’t worried about it. 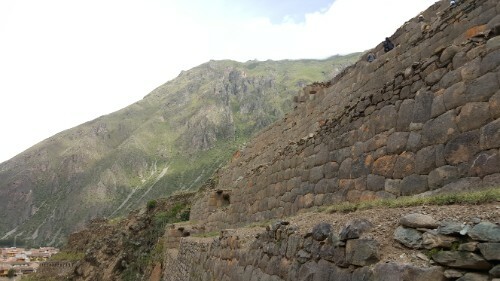 I asked at the hostel where to find colectivos to Ollantaytambo, and off I went! If you even manage to get close, you’re golden. Once you find the right street, there are a bunch of people calling out to you, trying to get you to get in their van. You just pick one, confirm a million times that they’re going to the place you want, and then decide to trust them and get on. 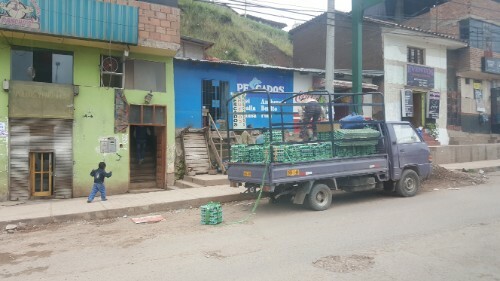 I just thought this was funny… This person is unloading crates of eggs from this truck – and is standing on a layer of them! I never really think of eggs as something you can stand on. 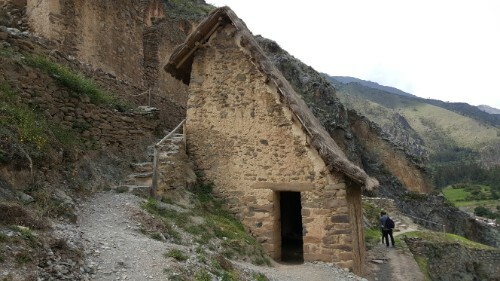 The ride from Cusco to Ollantaytambo is beautiful but also somewhat vomit inducing if you have any issues with carsickness. The road winds up and down, back and forth through the mountains and valley, and view after view was like nothing I’d ever seen before. I was trying to play it cool so that I wouldn’t give myself away as a tourist, but on the inside, I wanted nothing more than to press my face up against the window, unblinking for the entire 2-hour ride so that I didn’t miss a second. 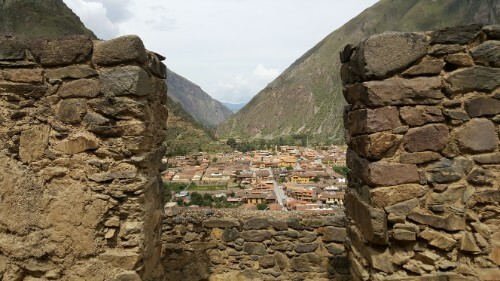 You can see Cusco to the southeast of Ollantaytambo and Machu Picchu to the northwest. 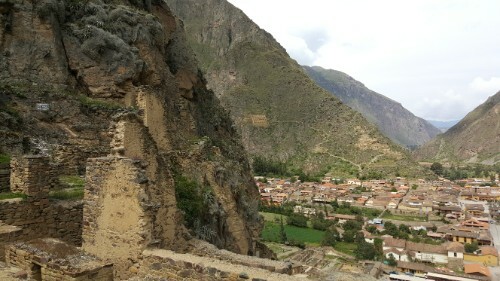 I got to Ollantaytambo about 2 hours before my train left, so I decided to check out the ruins in town. 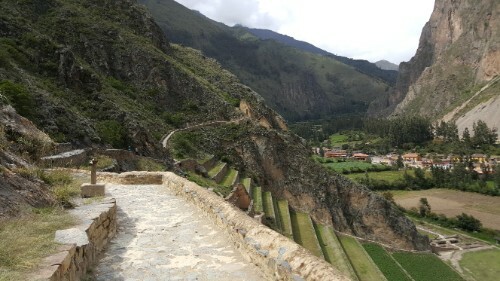 There are, of course, a million different ruins that you can visit in and around town, but I went to the biggest one that used to be an Inca fortress/temple. 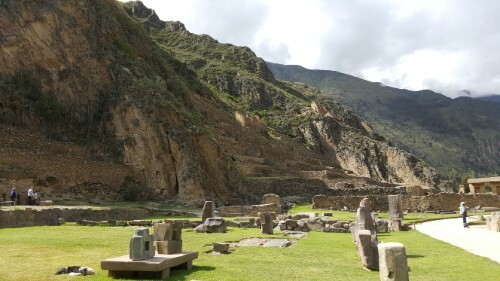 It’s one of the only sites where the Incas actually won a battle against the Spanish invaders. 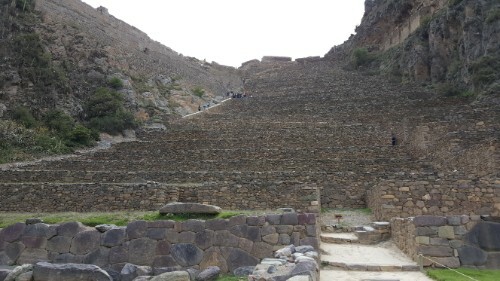 My first thought when I got inside was, “UGH… stairs.” The whole thing is just terrace after terrace, leading up the mountain to where there used to be enclosed structures. The roofs were all thatch, so there’s obviously nothing remaining of those. They’ve been restored in some locations, but for the most part, you’re left to imagine the ruins in their former glory for yourself. There are also some giant stones (I read somewhere that they’re 50 tons, but I can’t vouch for the accuracy of that) that were used in the unfinished temple construction. They were brought over from a “nearby” (6km away…) quarry, and the trip to the site includes a river crossing. You can use your imagination to try to figure out how they managed to move them on dry ground, but to cross the river, the stones were brought to the edge and then the water was diverted around them! That’s crazy! Those big rocks in the distance behind me are the (maybe?) 50-ton ones that had to get moved here somehow from the quarry. 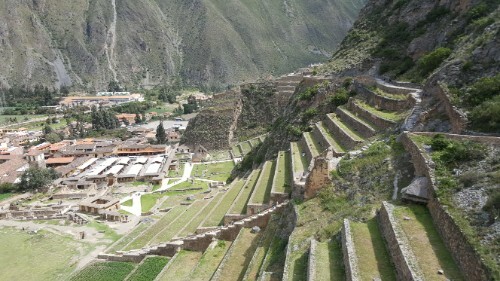 It only took a couple ruin visits for me to realize that the Incas were masters of beautiful and hard-to-reach sites. This fortress is no exception. 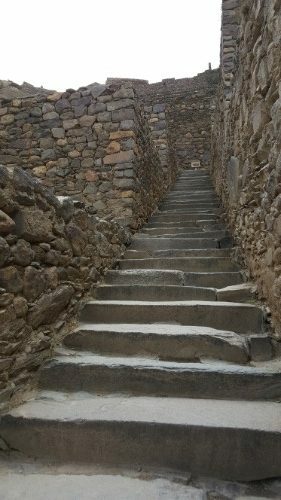 When I finally managed to wheeze my way up the stairs (remember that this is at high altitude! I’m not just completely pathetic), I was treated to an incredible view of the town, the valley, and the surrounding mountains. The best way to view the mountains is from another mountain! I had plenty of time to check out the main part of the ruins, even with my “stop and take the same picture 100 times” breaks. I still wish I’d had longer though. From the fort, there’s a hike you can do to a temple nestled up higher in the mountain, and I’m sure that it would have been worth the extra climb (if you consider another pile of rocks, another view of the same mountains, and some solitude worth it… which I totally do). 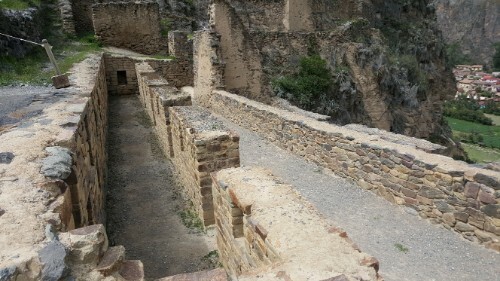 Plus, it would have been cool to have a time to see some of the other ruins around town. 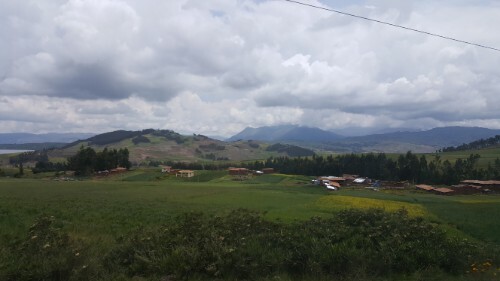 This is the view at the beginning of the hike up to the temple that I didn’t have time to do. Looks like it would have been a pretty awesome view, huh? Oh well, I had a train to catch, and there was no way that I was going to miss it. 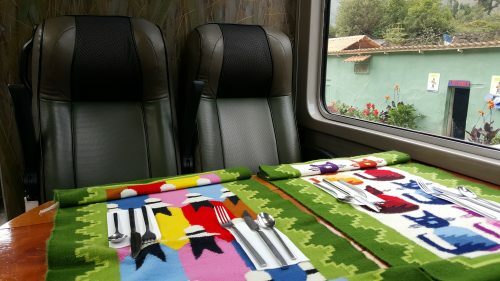 There are a few different ways that you can get to Machu Picchu with the most common being either trekking (aka walking A LOT through the mountains) or taking the train. 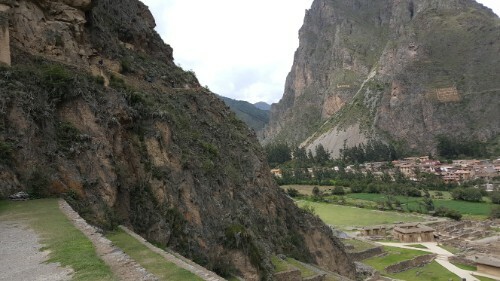 I think a trek would be awesome, but with my limited time in Cusco, I decided to spend it doing other things. Despite requiring far less effort, the train ride was still incredible. It was like something straight out of the movie “Avatar”. I’ve said that about other places in my life, but I’ve never meant it more than I do right now. Let me try to set the scene. 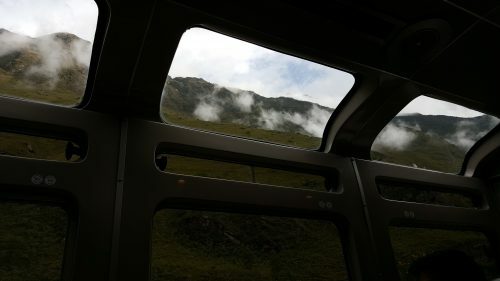 There are cloud-topped mountains towering over the train on either side, plus a river running beside the tracks (the water is very brown but no matter). 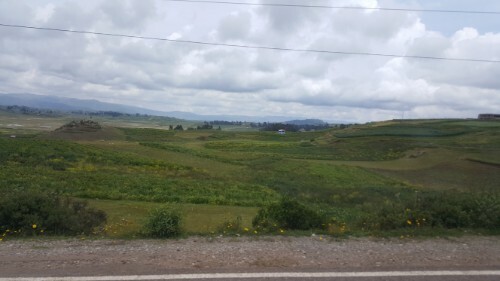 Everywhere you look is green and full of life. 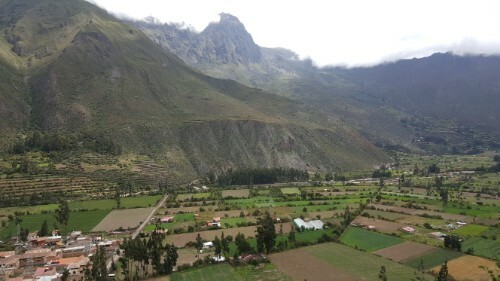 You pass from the low highlands ecosystem at the beginning of the ride into the cloud forest ecosystem. I didn’t even know that was a thing, but can you think of a more mystical name than “cloud forest”? In reality, it was just as mystical as in theory. I’ve never been on a shorter 2-hour train ride. Seriously I could have stayed on that train for another 10 hours and been totally okay with it. I want to know who you have to bribe to get assigned the front seats! 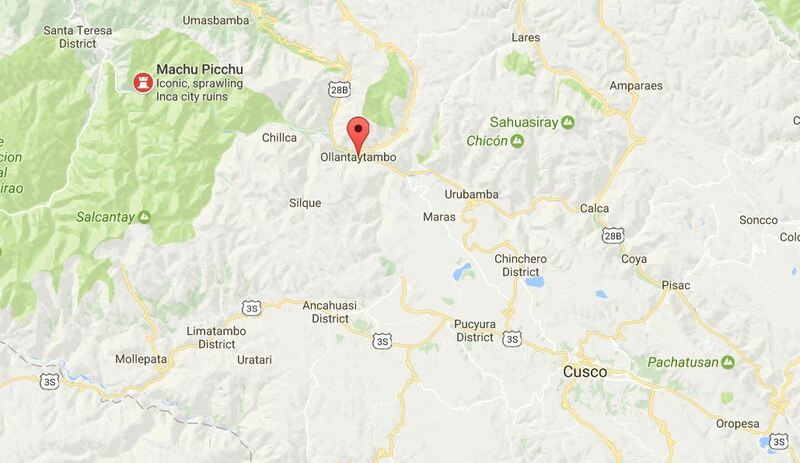 But alas, we arrived in Aguas Calientes, and I set off to find my hostel. 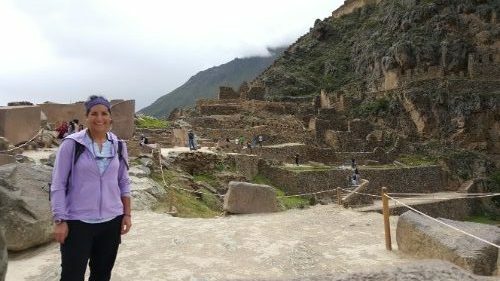 It’s the off-season at Machu Picchu right now, so I lucked out and got my own room, complete with all-natural “raging water” white noise from the river outside. Perfect for getting lots of sleep!